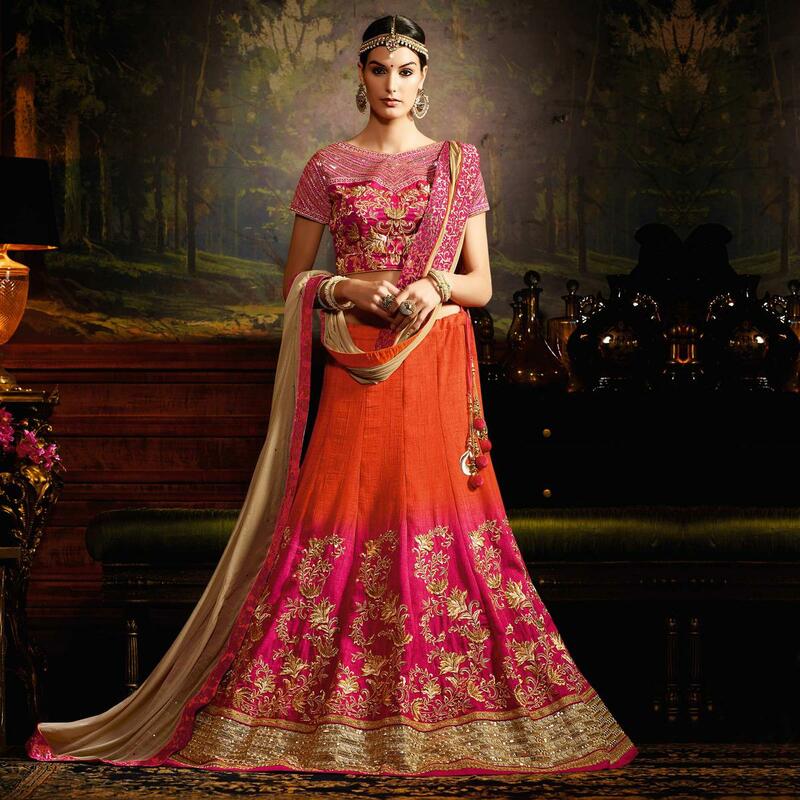 This pink - orange graceful designer lehenga is crafted in silk fabric. The highlight of this attire is the skirt which is shaded with an outstanding pink and orange color will make you look very stylish and graceful on your special day. The ethnic embroidered and zari work on the attire adds a sign of beauty statement to your look. Accompanied with chiffon dupatta and banglori silk blouse. Ideal for weddings and receptions.